Born in Milwaukee Wisconsin, raised in Beijing China, and educated at the Berklee College of Music, LA-based electro rock/pop artist ZEE MACHINE’s music has been described as “the straightforward confessions of a young emerging singer-songwriter, introducing an emotionally introspective side of his artistic psyche”. With no-holds-barred production and stratospherically ambitious vocal delivery, ZEE MACHINE offers a fresh but accessible take on what a queer pop artist can be in the 21st century. His debut EP “Brainchemistry” debuted in the top 25 on the iTunes Pop Charts and has had his music and video content featured on Billboard.com numerous times during the year of it’s release. Zee Machine talked to Billboard about writing his EP before and after recovery, normalizing queer romance and why he decided to sample RuPaul on his EP. Premiere: Zee Machine is "Running on Empty"
Pop singer Zee Machine has just released the video for his new song, "Running on Empty." In a statement about the video, Zee reflects: "I flew all the way across the country to sneak on the roof of my old Brooklyn apartment that I had written the song in three years previously to film this. The fact that a blizzard hit the city the day before the shoot felt like the universe giving me the most beautiful backdrop I could have asked for." It was around four years ago emerging artist Zee first came to our attention he sparked our interest in his foray into pop with a track called “Refugee“. An empowering anthem of tenacious lyrics, powerhouse delivery and urban-infused balladry. We were strapped right in for a journey to begin but, a life hurdle took the project back to the baby steps stage and music ultimately became the source of salvation to get the artist back on track. Now re-named Zee Machine, the EP he has been desperate to record is ready to see the light of day. 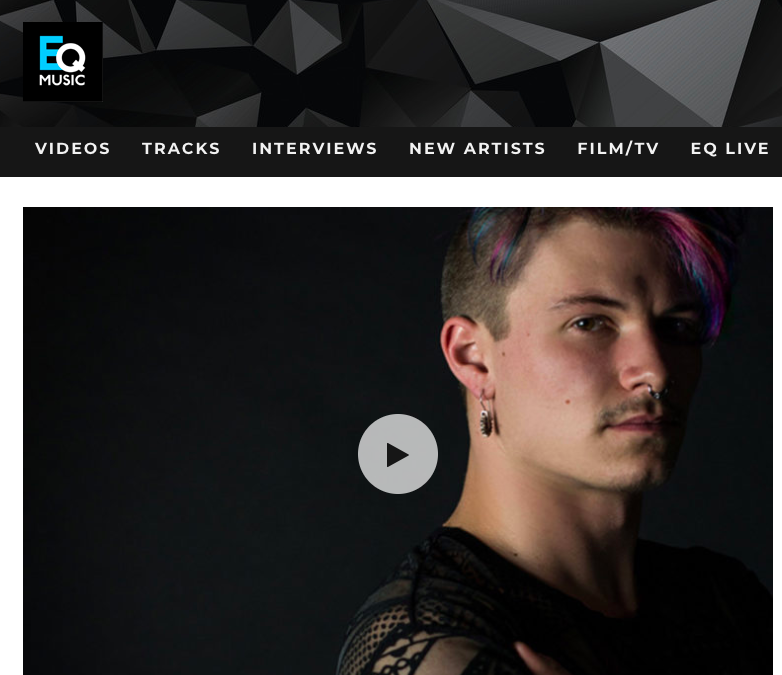 Kicking off the countdown to the mini album “Brainchemistry“, Zee Machine is allowing us to premiere the EP’s first focus single “Running On Empty“, here on EQ today. CLICK TO READ MORE.